Dr. Smith joined CFR from the East-West Center in 2007, where she specialized in Asia-Pacific international relations and U.S. policy toward Asia. She was also recently affiliated with Keio University in Tokyo, where she researched and wrote on Japan’s foreign policy toward China and the Northeast Asian region on an Abe Fellowship. From 2004 to 2007, she directed a multinational research team in a cross-national study of the domestic politics of the U.S. military presence in Japan, South Korea, and the Philippines. 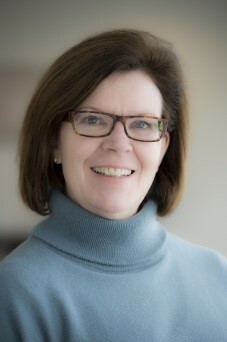 Prior to joining the East-West Center, Dr. Smith was on the faculty of the Department of International Relations at Boston University (1994-2000), and on the staff of the Social Science Research Council (1992-1993). She has been a visiting researcher at two leading Japanese foreign and security policy think tanks, the Japan Institute of International Affairs and the Research Institute for Peace and Security, and at the University of Tokyo and the University of the Ryukyus. Dr. Smith earned her and MA and PhD degrees from the Department of Political Science at Columbia University. Among Dr. Smith’s publications are Shifting Terrain: The Domestic Politics of the U.S. Military in Asia, East-West Center Special Report No. 8 (East-West Center, 2006), “A Place Apart: Okinawa in Japan’s Postwar Peace” in Partnership: The United States and Japan, 1951-2001 (Kodansha International, 2001); and Local Voices, National Issues: Local Initiative in Japanese Policymaking (University of Michigan Press, 2000). She previously served on the editorial board of the Contemporary Issues of Asia Pacific, a book series published by Stanford University Press and the East-West Center. She is a trustee for JapanAmerica Society of Washington, DC, and an executive committee member for the National Association of Japan-America Societies.